The Hebrew word for "attic" is boidem (or boydem) - בוידם. Actually, it's more of a crawl-space, as described here: "created by a lowered ceiling usually running along the corridor, with an opening in the bathroom, above the door". 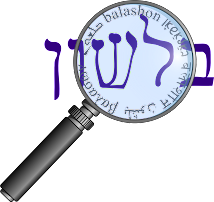 The word entered Hebrew via Yiddish, but originated in German as dachboden. Dachboden literally means "floor (boden) of the roof (dach)". Dach comes from a root meaning "to cover" and is related to the English words thatch and stegosaurus. The word boden derives from an earlier sense meaning "ground, earth, soil" and is connected to the words bottom and embed.